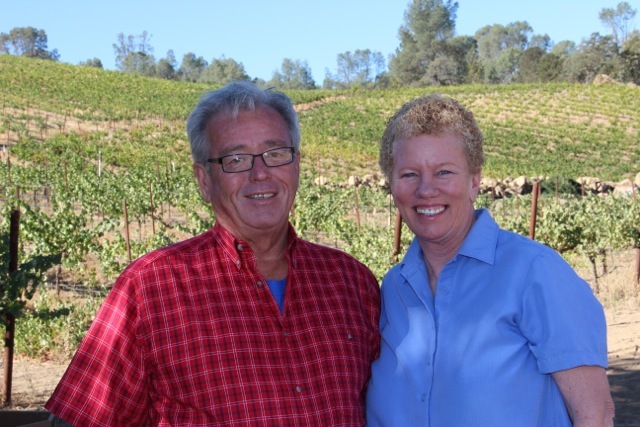 Gunier and husband Rick provide West Coast grown Chardonnay, Cabernet Sauvignon, Syrah, Pinot Noir and many other varieties sourced from California, Oregon and Washington. This year North Coast shipped 500 tons of grapes, 5,000 gallons of bulk wine and 2,000 cases of shiners (unlabeled bottled wine) to 16 wineries in 8 states, mostly in Virginia, Georgia and Pennsylvania. She says they’ve tripled their business compared to 2012 and now they’re looking to expand in the Midwest. Across the Midwest wine industry, there are divergent views on grape brokers. Some see them as facilitating the growth of Midwest wineries. Others believe imported products undermine the emergence of a distinctive Midwest identity based on local grapes. Whatever your opinion, in recent years brokers, like North Coast, have helped foster the growth of a variety of winery business models around the region. One of Gunier’s clients is Grafton Winery & Brewhaus in Illinois near St. Louis. 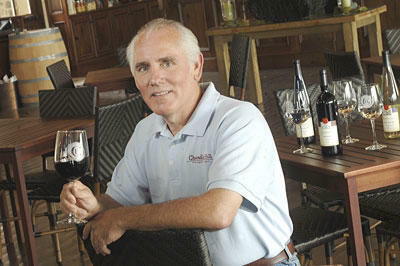 ‘We have zero vineyards, we strictly bring in the juices,” says Grafton owner Mike Nikonovich. ‘As much as we’re fans of Midwest wines, a lot of people want a variety,” he explains. So many people in fact, he says they’ve had to buy shiners to keep up with demand. 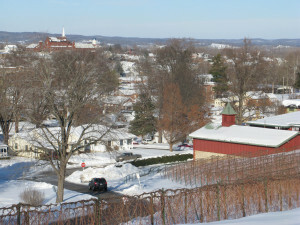 Nikonovich says Grafton is “definitely a winery” and has a swathe of awards, including Silver Medals for his Pinot Gris and Pinot Noir at this year’s Finger Lakes International Wine Competition. Nikonovich uses grape brokers rather than going to the bulk wine market because he says it can be risky finding quality bulk wine. Unlike some grape brokers, North Coast allows him to have a personal relationship with the vineyards producing the juice he purchases. Chandler Hill Vineyards in Missouri is definitely a local winery, but also utilizes out-of-state fruit. Chandler Hill owner Chuck Gillentine grows 5 ½ acres of Vignoles, Norton and Chambourcin grapes. But he also buys fruit from grape brokers so he can offer an additional range of West Coast wines. Gillentine and winemaker Tom Murphy make their local wines on the estate. However, the production of their West Coast wines takes place at facilities in the regions where they buy the grapes. Gillentine says he travels to the West Coast two to three times a year to work on these blends with their selected winemakers. Like Nikonovich, Gillentine says his customers want to drink both Missouri wines and Chardonnays, Cabs and Pinots from other regions. He credits West Coast wines with boosting Chandler Hill’s visitor numbers which have nearly doubled from 30,000 to 65,000 since the winery’s inception in 2008. Gillentine says imported wine is helping people become more familiar with local varieties because wine drinkers will often try Midwest wines with a similar taste profile to the vinifera they are more accustomed to. Since opening, Chandler’s sales of Missouri wines have quadrupled and are now about fifty percent of all wine sales. Apart from commercial winery businesses, another niche market for Gunier is home winemakers. ‘Because home winemakers turn into professional winemakers that turn into winery owners,” she says. Start-up wineries are also among her clients. Using a grape broker can help them get off the ground more quickly while they wait for vines to reach maturity or for the required operating permits. Gunier’s least preferred customers have no interest in making wine. Instead, these “wineries” seek to profit from being a winery style destination for events like weddings. These businesses buy shiners from grape brokers and put their labels on the bottles. Across the region there are contrasting opinions on these issues. On the one hand, it’s a common and accepted practice for wineries in the Midwest to make occasional use of grape brokers or bulk wine if harvests are poor. However, Michelle Meyer of Holy-Field Vineyard & Winery in Kansas says local wineries that rely heavily on out of state grapes and juice are undermining the local wine industry. ‘Napa didn’t earn it’s reputation by importing juice. How will regional wines ever develop an identity if the wines aren’t made from local grapes?” she says. Holy-Field’s wines are all made on-site from local varieties and have won numerous awards and garnered international attention. (They’re the only Kansas winery in The Sotheby’s Wine Encyclopedia). Like Holy-Field, the majority of the Midwest’s best wineries continue to be operations that grow many of their own grapes and bottle on-site. Wollersheim Winery in Wisconsin and Oliver Winery in Indiana, two of the Midwest’s largest and most acclaimed wineries, bring in grapes from out-of-state to supplement the fruit they produce in-house. For Meyer, there’s a question mark regarding whether wineries that source raw materials exclusively from the bulk wine market or via grape brokers are even wineries. ‘Wineries that make wine from only imported juice or grapes should be considered a manufacturer of wine,” she says. Philip Bradley, lobbyist for the Kansas Viticulture & Farm Winery Association says the rise of wineries using out-of-state grapes and juice can put wineries that use local grapes at a disadvantage. The added cost and risk of growing local grapes and pressing the juice at the winery must either be passed along to customer or borne by the winery. He says insufficient labeling laws are a big problem. Bradley says that vague wine labels allow wineries to bring in juice, even bottled wine, from out-of-state, and appear like a local winery. ‘I have no problem with people setting up a winery, importing 100% of their grapes from Mars and making wine. I just don’t think it should say ‘Kansas Farm Winery’ on the label. The label should say where the grapes come from,” he explains. Bradley also says wineries that use imported products from grape brokers shouldn’t be allowed to market themselves or make statements that imply they are local farm wineries. “When consumers go to their local winery they expect to be drinking wine made on the premises from locally grown grapes,” he adds. However, the importance and definition of “local” varies across wine consumers. Grafton Winery and Chandler Hill Vineyards make no secret of the fact that they source much of their product from out of state — in fact they use this claim as a marketing tool. This approach seems to be working. The Grafton Winery website reads: “We source our grapes from some of the most elite wine regions in the country, including California, Missouri, Michigan and upstate New York.” The wine labels on Chandler’s West Coast bottles are very clearly marked ‘Napa,” ‘Oregon” or wherever the grapes come from. Shaun Turnbull, winemaker at the legendary Stone Hill Winery in Missouri says as long as wines are quality, even if they contain a very low percentage or no local grapes, they help spread the word and bring in customers for everyone. ‘The wine is still affiliated with a Missouri winery and therefore supports the growth of the Missouri industry,” he says. ‘On the other hand, inferior quality “Missouri” or “American” wine is more of a threat to the local industry,” he adds. 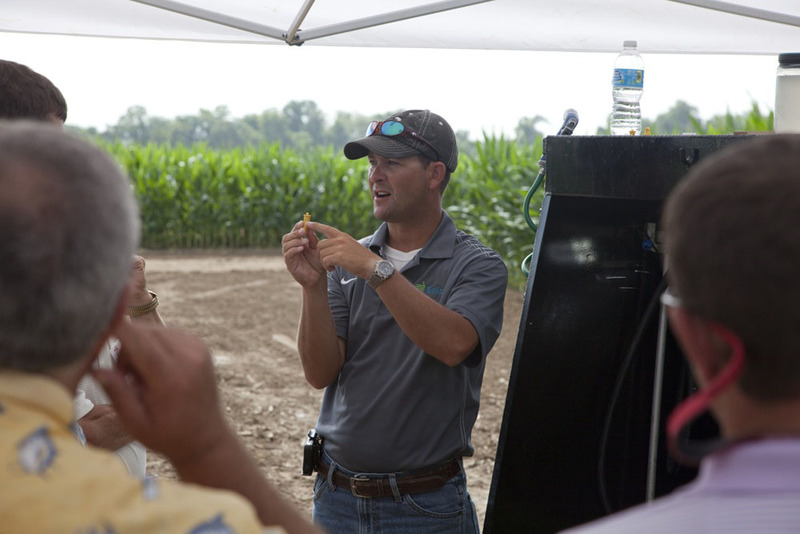 This article was sponsored by North Coast Winegrape Brokers, a winegrape broker sales and marketing firm working to connect premium growers with premium winegrape buyers.